The CRISPR-Cas9 technology is the latest and most controversial gene editing technology available today. It allows for precise editing of DNA, which is also known as the genetic code of the human body. While CRISPR seems to possess great potential to solve genetic mutations, ethicists and researchers still believe this technology should not be applied as of now due to its insufficient experimentation, significant consent limitations, and the matter of eugenics. However, even though gene editing on human embryos remains illegal to practice in many parts of the world, the United Kingdom and China have begun to grant permission to select scientists. Thus, it is necessary to devise strict guidelines and protocols which will promote safe practices, especially since CRISPR cannot be reversed once the changes have been made on an individual. The permanent nature of CRISPR-Cas9 calls for immediate attention by governing authorities, scientists, and researchers alike to establish the ethical boundaries of this technology. In February of 2016, the United Kingdom performed genome editing with the CRISPR-Cas9 technology on human embryos to gain insight into infertility treatments. The Human Fertilization and Embryology Authority (HFEA) of the United Kingdom had decided to endorse the research of developmental biologist Kathy Niakan to alter genes that are active in the first few days after fertilization (Callaway, 2016). While the question of whether experimentation on human embryos should be permitted remains unanswered, Niakan’s research will be used to impact infertility research around the world. The HFEA of the United Kingdom represents the world’s first endorsement of such research by a national regulatory authority. In the past two decades, the technology has seen significant growth since Francisco Mojica first discovered the CRISPR locus in 1993 (Institute, 2016). Although CRISPR seems to possess great potential to improve the human germline, bioethicists, scientists, and researchers urge the need to halt CRISPR-Cas9 experimentation on human embryos due to its unreliability from insufficient experimentations, significant consent limitations, and eugenics. The CRISPR-Cas9 is the latest and most controversial technology which allows for precise editing of DNA, or the genetic code of the human body. This technology derives from the “Clustered Regularly Interspersed Short Palindromic Repeats” in the bacterial genome and are used by molecular biologists “as a pair of molecular scissors” that can be guided with high efficiency by the RNA to target DNA at specific sites (Jiang and Stevens, 2015). The acts of cutting and pasting genes enable scientists to readily modify the genome of cells by substituting gene sequences. Rodger Novak, the founder of CRISPR Therapeutics, and Ante S. Lundberg, the senior executive of CRISPR Therapeutics, report how the rapid advancement of CRISPR gene editing has evoked debate (2015). The “reprogramming of DNA” has a myriad of potential applications in engineering, and this has become a growing public concern. Thus far, the CRISPR technology has been used to modify animal embryos which has revealed that the genome of whole organisms can be altered without embryonic stem cells or homologous recombination (Jiang and Stevens, 2015). In the future, scientists may be able to add genetically determined characteristics to cells that would not have otherwise possessed these traits. Joanna Smolenski, a graduate student from the Graduate Center of the City of University New York, has voiced her concern regarding the scientists who plan to utilize CRISPR to modify reproductive cells in addition to somatic cells (2015). The editing of human germline cells, also known as reproductive cells, will be passed down to subsequent generations and may have lasting effects on the human gene pool. On the other hand, the editing of adult somatic cells is not controversial because they are non-heritable. As such, the permanence of germline editing imposes an urgent need to establish ethical standards and proper protocols to ensure safe practices. Without taking proper precautions, germline alterations have the possibility of causing unknown and debilitating health issues which may affect the offspring of the embryo in question. Figure 1. This figure illustrates the mechanism of the CRISPR-Cas9 technology. The DNA is precisely edited with the Cas9 and Guide RNA. CRISPR must be proven due to the recent experiments which have evidenced a low success rate. As a result, the poor success rates have caused the world of biotechnology to spur much dispute on the uncertain safety level of applying CRISPR on human subjects. The most concerning aspect of CRISPR is the off-target effect, or the act of unintentionally modifying the wrong sequence of DNA. When a scientist targets a specific sequence of DNA to delete, alter, or insert, there must be no margin of error because the alterations made are permanent. However, genes only make up approximately 1.5 percent of the human DNA’s 3.2 billion base pairs, and a genome may have a specific sequence of base pairs in a gene repeated elsewhere in the genome, prompting the need to edit all related base pairs to alter the trait. In addition, because individual proteins often affect more than one process, Chiarella and Guevin from Ethics and Medics, a prominent research organization, claim that editing a second sequence imposes unknown risks which may cause unintended effects and result in inconceivable mutations (2016). Furthermore, Smolenski reported that CRISPR-Cas9 can make off-target cuts in cells up to sixty percent of the time. These significant research studies portray the difficulty in gene editing and present the significant chances of failing to perform this technology successfully. In 2015, China’s first report of CRISPR experimentation on human embryos had a much higher rate of mutation than experiments performed on mice. The Chinese research group led by Junjiu Huang from Sun Yat-sen University in Guangzhou, employed CRISPR to make changes in human germline cells through nonviable human embryos with the intention of researching human disease. It was reported that of the eighty-six embryos which were injected, only seventy-one survived, and of those seventy-one embryos, only twenty-two embryos were cleaved successfully; about twenty-five percent of the embryos were edited correctly. The first Chinese group’s experiment on human embryos sparked wide concerns across the world, especially in the United States. Numerous countries viewed the Chinese researchers as renegades who ignored established international ethical norms against human experimentation (Smolenski, 2015). Marcy Darnovsky, from the Center for Genetics and Society, condemned the Chinese researchers by citing the dangers and ethical pitfalls of experimenting on human embryos. She declared that “no researchers should have the moral warrant to flout the globally widespread policy agreement against modifying the human germline’” (Jiang and Stevens, 2015). Among western biologists, China is now viewed as a lawless frontier of biomedical research where anything is possible. This experiment exposed an urgent need for wider ethical and legal deliberation in China and across the globe. Controversial to many experiments, researcher Ben Merriman from the University of Chicago claimed that with continued experimentation, CRISPR has the potential to become a very reliable source for a broad set of genetic modifications (2015). The CRISPR technology is easier to obtain than other advanced gene editing technologies. As such, at the hands of irresponsible and inexperienced scientists, CRISPR would be detrimental to humans and their future generations. Thus far, the application of CRISPR-based genetic modification techniques has frequently been loosely regulated in laboratory settings, and this continued practice may lead to unprincipled biohacking; hence, CRISPR stands as a technology yet to be proven and an example of a Dual-Use Research of Concern (DURC) technology. Although CRISPR is intended to improve the human gene pool, the misapplication of the technology has the potential to harm society not only through laboratory accidents, but also through biological weaponization (Merriman, 2015). Prior to CRISPR, the H5N1 influenza controversy brought to attention a greater need for biosecurity regulations that would reduce the threat of weaponization. In 2011, two groups had announced their intention to publish their methods for engineering avian influenza H5N1 to make it transmissible to humans. Opponents argued that the benefits of such research were minimal with large potential risks, while proponents argued for scientific freedom and potential benefits of this work (Gene Technology at UNSW, 2016). Ultimately, the National Science Advisory Board on Biosecurity made the engineering methods of avian influenza transmissible in humans publicly available but soon afterwards in 2014, the US government suspended funding the avian influenza. In the same way, CRISPR may be another DURC technology which governments may initially support yet later find dangerous to the public, given the lack of protocols, or clear boundaries of safe practices. Figure 2. This figure illustrates the CRISPR/Cas9 genome editing tool at work on DNA sequences within the cell. Although Smolenski states that human embryos are not experimental subjects in an analogous way to humans, experimentation on human embryos pose important questions regarding consent. Technically, embryos are not afforded the moral status of personhood until they are delivered as children. Thus, by logical reasoning, embryos cannot give consent to participate in a science experiment. As a result, embryos that become genetically modified individuals will have committed to an experiment without having given proper consent. Currently, consent protocols involve an “escape clause,” in which a subject that no longer desires to participate in a research project may be removed from further study. However, this clause conflicts with the nature of germline modification studies because conducting experiments at the embryonic level commits the genetically modified individual to participate in the scientific experiment. The effects of CRISPR will manifest in the life of the human subject who inherits the modified genetic material, which will require monitoring throughout its life, and most likely into its descendants’ lives. Essentially, this is because such a study can only see the full consequences of gene editing through a long-term study for multiple generations. Therefore, scientists must consider the moral dilemma behind the application of CRISPR on human embryos in the case that the genetically modified individual chooses to revoke consent, since the embryo cannot decide for itself at the needed moment. Unfortunately, the permanence of study will continue to impact the study participant and his or her offspring indefinitely, regardless of a parental proxy (Smolenski 2015). In an interview, Jennifer Doudna, the inventor of the CRISPR-Cas9 technology, voiced her concerns to representatives of her alma mater at the University of California, Berkeley. Although she supported clinical applications on adult tissues because they are not passed down to children, she noted that clinical applications on human embryos must be treated with extreme caution by the scientific community. In response to experimentation on human sperm, eggs, or embryos, Doudna asserted that it is appropriate to conduct the research under strict circumstances. However, due to the rapidly advancing nature of biotechnology, Doudna urged international scientists to act responsibly when dealing with powerful technologies such as CRISPR. She also expressed her hope to see society draw a line and halt the implementation of CRISPR on the human genome, and instead take time to implement ethical standards on the CRISPR technology first for the time being (UC Berkeley, 2015). In the past, other reproductive technologies such as in vitro fertilization (IVF) caused people to pose serious ethical questions to implement safe practices. In 2008, a deaf couple in the United Kingdom, Tomato Lichy and Paula Garfield, sought to use IVF to select an offspring who would share their disability. The couple argued that it would be easier to care for their child if he or she had similar needs to their own. Nevertheless, legal precedents forbade the couple’s request because the United Kingdom specifically “prohibits the selection of an embryo with a genetic disability or disease in preference to a ‘healthy’ one” (Smolenski, 2015). This case demonstrates similar issues with consent regarding the application of a life-altering technology. Although the couple did not consider their disability a barrier to a high quality life, the parents’ decision was defeated by other considerations. Many ethicists believe that parents should not possess the absolute authority over their child because technological experiments do not directly affect the parents themselves, but instead affect the the child in question. Parents should not have the absolute authority to utilize CRISPR at their own free will. Without setting proper guidelines, CRISPR will experience similar situations that question safe practices just as IVF has seen in the past. The possibility of germline editing, nonetheless, has aroused strong interest among families globally. Couples who believe in eugenics and are concerned that their child may inherit their less than desirable genes are willing to use gene editing as a way to avoid disabilities, mental disorders, and disease of any kind. Often times, this thought process is believed to be another way for parents to “save their child” and create the “perfect baby,” a child free from genetic flaws; parents feel that the reproductive futures of their unborn child rest in science. John Harris, a professor from the University of Manchester, declared that the “‘discernible duty [is] surely to create the best possible child’” because the human genome is an “‘imperfect work in progress which human reproduction does not improve well’” (2015). Although this pessimistic opinion is shared by some scientists, others argue that the motive should not be to “create” the perfect human being, but rather to accept offspring as nature intended. Instead of seeking a remedy for every imperfection through technology, it is essential for people to understand that those “weaknesses” can be improved into strengths through effort, a behavior which has persisted since the existence of man and has led to vast advancements marked by innovations people access today. Figure 3. This figure illustrates the Cas9 nuclease protein using a guide RNA sequence to cut DNA at a complementary site. There is no doubt that CRISPR holds high hopes for many scientists. However, the uncertain outcome of human germline engineering still causes much dispute among the biotechnology industry. When J. Benjamin Hurlbut, a prominent bioethics researcher, inquired whether human germline engineering is an inevitable technology that will overtake the scientific world, Venter replied, “The question is when, not if.” While a technological revolution is inevitable in a rapidly developing society, Venter emphasizes that the future does not lie in the hands of those who wield the technology. Instead, Hurlbut argues that people have the collective authority to create the world they want to live in (2016). Technology should not control people, and instead, it should be used as a tool to improve lives. This is why CRISPR must have concrete guidelines set in place so that people can wield the technology, instead of being wielded by it. According to Hurlbut, a group of elite scientists led by Asilomar, a bioethicist professional, paved the way for biotechnology in 1975. They celebrated their scientific responsibility to create advanced innovations, which excluded larger questions of biosecurity, ethics, and environmental risks because Asilomar deemed the science community to be irrelevant to the conduct of basic research. As noted in history, Hurlbut concludes that important questions are not asked nor answered until they are urgently demanded (2016). Scientists like Asilomar will continue to prioritize innovation over safe practices for generations, as ethical questions have been overlooked since the beginning of biotechnological advancements. Some scientific corporations such as CRISPR Therapeutics aim to develop CRISPR with a profit-oriented mission which has earned over $398 million by 2016 (Chiarella & Guevin, 2016). On the contrary, other scientists and ethicists demand the need for responsible applications of technology to take priority. Merriman from the University of Chicago is also in agreement that responsibility demands strong limitations on access to technology, especially in fields which impose vast harm (2015). International guidelines which govern human applications of gene-editing should lead to a wider ethical and legal deliberation across the world and handle CRISPR more effectively (Jiang & Stevens, 2015). This discussion, however, cannot be left to scientists alone. Many scientists are seeking the help of politicians, the federal government, and other leaders in related fields to firmly establish protocols for CRISPR. At Washington, D.C. in December 2015, scientists, researchers, and educators convened at the International Summit on Human Gene Editing to discuss how to define boundaries around gene editing in an effort to slow germ-line editing experimentation. CRISPR experiments on viable embryos were of particular concern, specifically on the ethical and safe practices appropriate to clinical applications (Reardon, 2016). While there has been some progress in terms of discussion, however, the summit did not effectively slow down germ-line editing experimentation. Case in point, a few months after the International Summit, the United Kingdom granted license to the Francis Crick Institute to edit one hundred and twenty human embryos (Knapton 2016). The summit has poorly regulated CRISPR and has not implemented international standards with enough urgency. In order to set concrete protocols in place, powerful nongovernmental organizations and research institutes must pressure governing authorities to set clear deadlines for protocols to be made at the next International Summit on Human Gene Editing. More bioethicists must voice their concerns at the International Summit, unlike the past Summit in 2015 where only one ethicist was present. Additionally, the members of the Summit must agree to hire a reasonable body of ethicists at all CRISPR companies globally so that they may stop and report the company if the research and business being conducted advances CRISPR applications past the line established at the time. The varied opinions should then be brought up at the summit by bioethicists from various countries and research companies to agree on a set boundary before it is too late. Furthermore, researchers urge the need to “enforce inspection on the identity of users” of CRISPR in order to oversee those who use the CRISPR technology. This is called for because CRISPR appears as an inexpensive, efficient, and conveniently attainable alternative in comparison to existing gene editing technologies. As Bo Huang stated, “‘There is a mentality that as long as [CRISPR] works, [experimenters] do not have to understand how or why it works’” (Smolenski, 2015). According to scientists, CRISPR is easily obtainable, requires relatively few years of training, and is increasing in experimental use; the relative ease of this technology makes it more feasible to deploy. Robert Sanders from Berkeley News reports that experimentalists can make thousands of precisely guided probes covering an organism’s entire genome for less than $100 in supplies at times (2015). The cheap prices rose the demand for stricter regulations because CRISPR is an advancing technology that should only be used by trained professionals because of its delicate and precise nature. In order to make CRISPR more accessible to qualified professionals instead of inexperienced non-specialists, governing authorities should require businesses to require customers to show an ID which verifies his or her qualifications to purchase the device (Merriman, 2015). 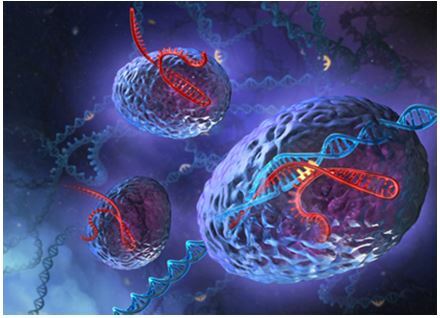 The CRISPR Cas-9 has garnered world-wide attention in today’s rapidly developing society. The potential surrounding this technology has peaked the interest of scientists, who are currently far more concerned with scientific breakthroughs than safe practices. As such, it is easy to overlook the potential side effects of CRISPR, mankind’s first official attempt at gene editing. Many ethicists and scientists make the point that since the beginning of time, mankind has progressed without relying on technology to alter the genome. The human race is at a crossroad and must determine which road to take: the natural road of self-improvement or an imperfect attempt to reach perfection with technology. Whichever road humans select, ethics questions and boundaries must be established to prevent any harm to the human germline. This matter is time sensitive as experiments carried out today will set the tone for research in the future. Callaway, E. (2016) UK scientists gain licence to edit genes in human embryos. Available at: http://www.nature.com/news/uk-scientists-gain-licence-to-edit-genes-in-human-embryos-1.19270 (Accessed: 18 September 2016). Chiarella, J. and Guevin, M. (2016) ‘Manipulating Life at Its Beginning’, Ethics & Medics, 41(5). Gene Technology at UNSW (2016) Available at: https://research.unsw.edu.au/gene-technology-unsw (Accessed: 18 September 2016). Harris, J. (2015) ‘Germline manipulation and our future worlds’, The American Journal of Bioethics, 15(12), pp. 30–34. doi: 10.1080/15265161.2015.1104163. Hurlbut, J.B. (2016) ‘The Demands of CRISPR’s World’, Ethics & Medics, 41(4). Institute, B. (2016) CRISPR Timeline. Available at: https://www.broadinstitute.org/what-broad/areas-focus/project-spotlight/crispr-timeline (Accessed: 18 September 2016). Jiang, L. and Stevens, H. (2015) ‘Chinese biotech versus international ethics? Accounting for the China–America CRISPR ethical divide’, BioSocieties, 10(4), pp. 483–488. doi: 10.1057/biosoc.2015.34. Lundberg, A.S. and Novak, R. (2015) ‘CRISPR-Cas gene editing to cure serious diseases: Treat the patient, not the germ line’, The American Journal of Bioethics, 15(12), pp. 38–40. doi: 10.1080/15265161.2015.1103817. Merriman, B. (2015) ‘“Editing”: A productive metaphor for regulating CRISPR’, The American Journal of Bioethics, 15(12), pp. 62–64. doi: 10.1080/15265161.2015.1103806. Reardon, S. (2016) First CRISPR clinical trial gets green light from US panel. Available at: http://www.nature.com/news/first-crispr-clinical-trial-gets-green-light-from-us-panel-1.20137 (Accessed: 18 September 2016). Sanders, R. (2015) Simple technology makes CRISPR gene editing cheaper. Available at: http://news.berkeley.edu/2015/07/23/simple-technology-makes-crispr-gene-editing-cheaper/ (Accessed: 18 September 2016). Smolenski, J. (2015) ‘CRISPR/Cas9 and Germline modification: New difficulties in obtaining informed consent’, The American Journal of Bioethics, 15(12), pp. 35–37. doi: 10.1080/15265161.2015.1103816. UC Berkeley (2015) Jennifer Doudna on Ethics of Gene Editing. Available at: https://www.youtube.com/watch?v=8Ijr1ccYPtI (Accessed: 18 September 2016).